An insider’s guide to the best things to do in Charleston, SC. South Carolina is home to one of the most stunning, charming and historically quaint cities in the country... Charleston. I LOVE living here. No wonder so many people want to make it a top travel destination on their lifetime itineraries. Some go so far as to make it their new home. Throughout this website, I'm going to tell you. Better than that, I'm going to get my friends to tell you. And even better than that... their friends and their friends... and other visitors too... and on and on it goes. So let's cut to the chase. Not only will you find resources for all the obvious and cool things to do in the Lowcountry, but I am also going to give you, up front, the favorite picks from the locals and tourists alike. At your fingertips, you now have inside information on the city's best. After compiling surveyed data, we’ve come up with the Top 10 Best Things To Do in Charleston. Well at least in the eyes of those that reside and tour here. But don’t take our word for it. We may have come up with a top 10, but there is certainly an abundance of area wonders to make a top 100 if we wanted to. Besides... these are our opinions and like the saying goes... everybody has one. So what’s yours? 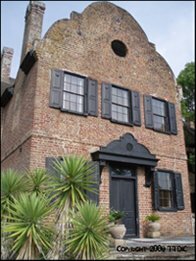 Facts & Figures Discover the basic history of the Lowcountry for insight into the ambiance of this “Holy City”. Also find details such as area maps, weather trends, zip codes, population size and much needed tourist information on the International Airport and transportation options. Beaches Ahhhhhhh… who wouldn’t love a day at the beach?! Area beaches offer something for everyone. Whether you prefer water sports, a good read, shopping, walking, swimming or my personal favorite… napping in the sun, you can find it either at Folly Beach, Isle of Palms, Sullivan’s Island or Kiawah’s Beachwalker Park. Let’s not forget all the great ocean-side bars and restaurants serving up cool refreshers like a Rotten Banana (my favorite! I’ll tell you all about it in this beach section). Restaurants It’s hard to find a bad place to eat here. Some of the greatest chefs in the country reside in our local dining establishments which makes for some of the best food you’ll ever taste. From some of the best seafood in the country to good ole home cookin’ Lowcountry soul food and everything in between, your taste buds are in for a treat. Events & Entertainment The arts and culture of the Lowcountry flourish year round with exciting events held annually, sprinkled with amazing one time entertainment concerts, shows and performances by both local and guest troupes. Thanks to the erection of the Performing Arts Center in association with the Coliseum, Gaillard Auditorium and other venues, the Holy City now entertains thousands with Broadway shows, famous singers and bands, dance ensembles, the circus and more. Highlighting the year is the International Spoleto Festival held every May and June. Parks Run-Walk-Bike trails, picnic pavilions, rock walls, water slides, dog parks, educational programs, festivals, camping and more… its all happening at the numerous Charleston parks. Golf, Fishing & Boating This southern city is not without its share of recreational sports. Well known golf courses, including the Ocean Course on Kiawah (slated to host the 2012 PGA Championship), Wild Dunes and everywhere in between, all offer both solace and tribulation as you wind your way though the gorgeous Lowcountry greens. And where there’s water, there’s fishing and boating. One thing Charleston has lots of is water… so suit up! Relocation & Real Estate All sound too good to be true? Think you want to make Charleston a place to hang your hat? Find out what you need to know in your efforts to make the big move. Where should you stay when you visit? Visit our Hotels & Lodging page for valuable information about choosing they right accommodations for you. Whether you’re a Charleston local or a visitor of the Lowcounty, share your stories with other hopeful travelers! If you’re the hopeful traveler, view the stories posted here. Create a free web page and get pre-qualified traffic to your Charleston tourism business and/or website. Simply submit your content here in a few easy steps. No registration required. Save time! Locate any of the Charleston attractions with this easy-to-find and follow guide to the best attractions of the Lowcountry. 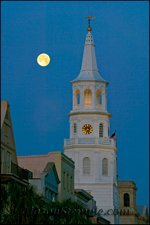 What better way to learn about the Holy City than with one of the many available Charleston tours? Choose the one thats right for you: ghost, walking, motor, water, carriage, private tours and more. Complete with an event calendar, you'll find the best Charleston events listed throughout the year here. Abounding with arts and culture, Charleston is quickly becoming an epicenter of entertainment. Charleston Beaches: Where Lowcountry Fun Meets Lowcountry Sun! There's something for everyone at the local Charleston beaches. Whether you prefer water sports, a good read, shopping, walking, swimming, dining or just napping in the sun, you'll find it here. 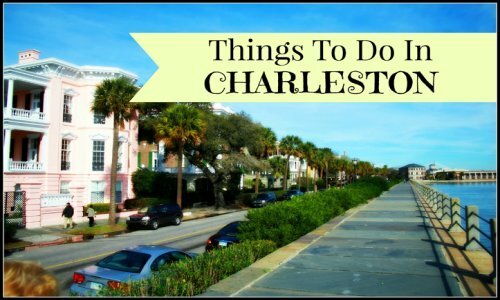 What are the best things to do in Charleston for kids? Look no further... here is a listing of the top favorites for the entire family! Special itineraries created for Charleston day trips. Also includes links to information for the great nearby cities of Hilton Head, Myrtle Beach, Savannah and Columbia. Charleston Shopping: The Best Places to Browse and Buy! From the famous King Street Shopping District to specialty shops along Market and East Bay Streets, you'll find the best Charleston shopping listed here. 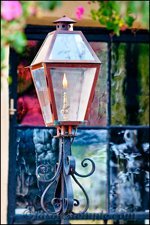 An ideal directory for locating the best Charleston hotels and lodging in the Holy City. Includes hotels, historic inns, bed and breakfasts, yacht charters, beach and vacation rentals and campgrounds. 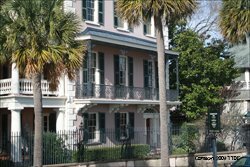 Charleston Hotel Search: Reserve Your Charleston Lodging Here! Compare lodging rates with other travel booking sites using this great Charleston hotel search. Then reserve your accommodations. It's quick, easy and informative! This is the one place to find the Charleston information in highest demand. History, maps, weather, zip codes, transportation and airport details are at your fingertips. Charleston Photo Gallery: Submit Your Photos Too! The Lowcountry is the perfect medium for constructing a Charleston photo gallery. So that’s what we did. View the works of well known Charleston photographers and then submit your photos too! Watch this great Charleston video of some of the best things to do in the Lowcountry. Shop online at The Charleston Store for travel guides, maps, photo books and even walking GPS navigation. What better place to learn The Charleston Dance than on the veranda of Charleston, SC?! Discover the history and view a video of the steps to the dance that captivated America during the Roaring 20's. Find valuable travel resources and links to USA and world destinations, including connections for useful travel tips and information sources. Can't remember where you saw something of interest on this site? Conduct a Charleston Sitesearch here. We are always looking for ways to serve our visitors, so contact us with any feedback, suggestions or ideas for the best things to do in Charleston. The Charleston Dance Company is a ballet-based, contemporary jazz company for youth. It offers the opportunity to grow, perform and gain experience in the realm of contemporary jazz. Biography of Kristine Wilcox, founding Artistic Director of The Charleston Dance Company and head of the ballet department for SC's oldest running dance studio. Charleston July Events: Things To Do In Charleston July! Summer is finally here! Check out our Charleston July Events Calendar for great ideas of events to attend throughout the Lowcountry. There's more to Charleston than just the beach at summertime! Charleston August Events: Things To Do In Charleston August! Summer's almost over, but the fun in Charleston, SC isn't! Check out our Charleston August Events Calendar for great ideas of events to attend throughout the Lowcountry.